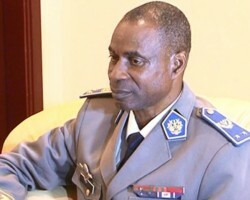 APA-Ouagadougou (Burkina Faso) — The alleged mastermind of the 2015 coup in Burkina Faso has vehemently denied any role in the insurrection that led to the overthrow of the transition government. 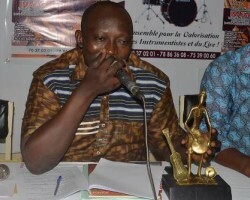 APA-Ouagadougou (Burkina Faso) by Alban Kini — The 3rd edition of the Gounghin Live Music Festival (FEMULIG) will be held from November 30 to December 2, 2018 in Ouagadougou, the organizing committee reported Sunday. 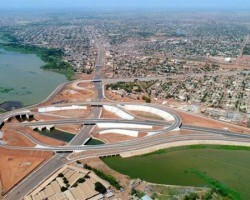 APA-Ouagadougou (B/Faso) — Burkina Faso’s newest interchanger, described as the biggest in the sub-region, will be commissioned next week in Ouagadougou, APA learns from the Ministry in charge of Infrastructure. APA-Ouagadougou (B/Faso) — Team Flanders of Belgium has won the 6th stage of cycling’s Tour du Faso on Wednesday ahead of Germany’s Embrace the World between Sabou and Koudougou, which is 31 km long. 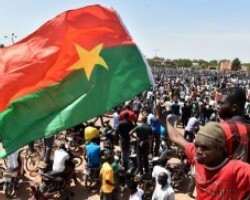 APA-Ouagadougou (B/Faso) — The fourth anniversary of a popular uprising which forced President Blaise Compaore from power in Burkina Faso has been marred by divisions culminating in a boycott of the event by the opposition. 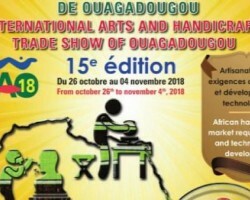 APA-Ouagadougou (Burkina Faso) by correspondent Alban Kini — The President of Burkina Faso and the visiting Governor General of Canada, Julie Payette, Friday attended the official opening of the 15th edition of the Ouagadougou International Crafts Fair (SIAO). 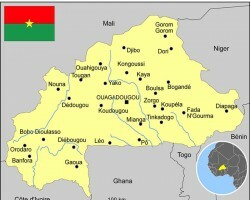 APA-Ouagadougou (B/Faso) — The gendarmerie brigade at Lanfiera, in northwestern Sourou province of Burkina Faso was the latest target of an overnight attack by unidentified gunmen, seriously wounding three gendarmes, media sources say.